What’s got 2 legs, drinks crap beer and spends far too much in charity shops? Well, I doubt I even need to answer that question, for you know that idiot is me. When it comes to charity shop shopping, I have two rules, never buy anything over a fiver, and never buy anything electrical. So, on Thursday, I bought a £6 tape recorder. For some time, I’ve been after something that can play tapes. I’ve been after one to hook up to my computer, as I still have a load of tapes from my childhood to go through, and convert. I’m sure I was an absolute scream when I was 9, but it’s things like the old radio clips I want to convert. I do have a USB one, but the sound quality is dubious at best. I wanted something a but more… sturdy. On Thursday, after knocking back a bag of chips for my dinner, I sauntered back to work. and decided to check out the Alice House charity shop. I was on the mooch for CDs, after only picking up a small amount on my travels. Before I even got to see the rotating plastic demons, something caught the very corner of my good eye. It looked like a tape recorder. And, clearly it was! I took it over to the little seating area they have, and by the time I’d sat down, a complete stranger said “You’ve got a bargain there!”. Upon closer examination, the sticker shows that it had only been PAT tested the day before, so yeah, it looks like I was indeed the first one to pick up the bargain! Now, despite the obvious difference of having more knobs than a Taiwanese brothel, I didn’t quite know what I had hold of. Turns out it wasn’t just any old tape recorder. 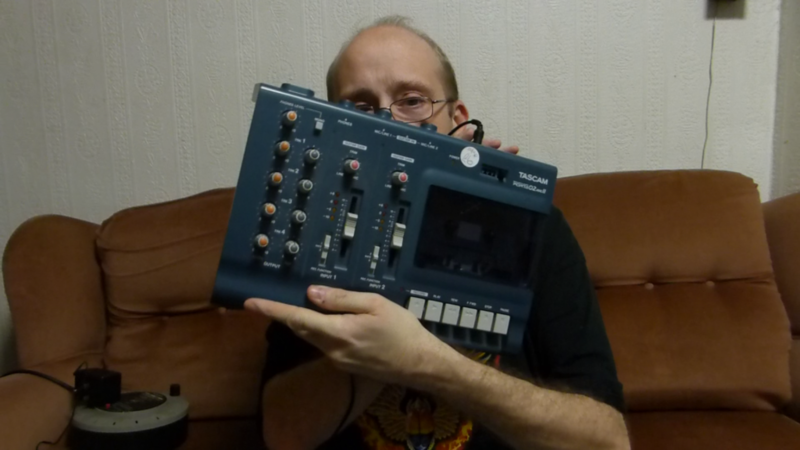 This beauty has the rare ability to record an all four tracks of a cassette tape. For the uninitiated, cassettes tapes have four tracks on them, but you only ever hear two of them at a time, the left and right channel. You turn the tape over, and you hear the other two left and right channels. 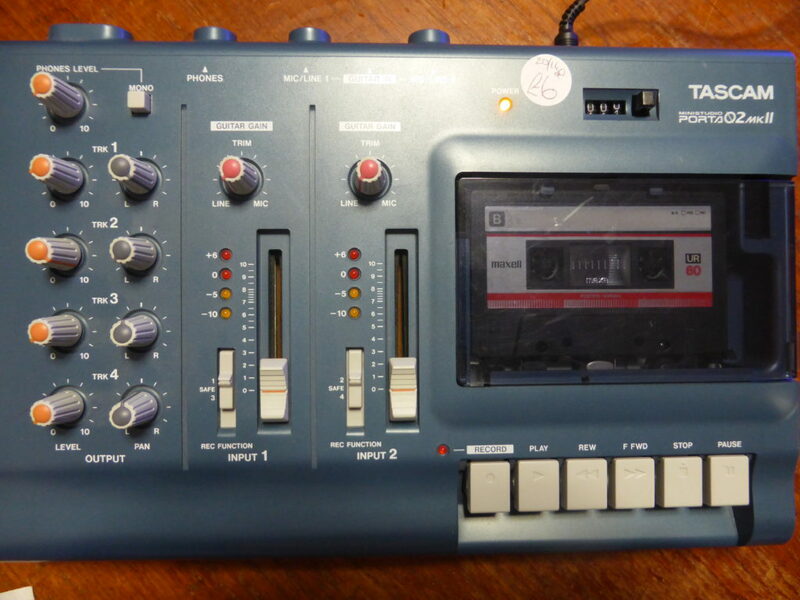 This particular recorder uses all 4 tracks on the tape at once. Back in the day, it was a simple and relatively easy way to get a multi-track setup for home recording. Last night, I plugged it in to make sure it all worked. And it did! One slight problem was that it was playing all 4 tracks at once, meaning at Side A was being played forwards, and Side B was being played backwards. 4 channels, y’see… there must be a way to have it just play stereo, but time was getting on, and I demoted it to the cupboard. I had a feeling it might have stayed there for a while. My interest in the device was rekindled. I’d planned in my head how I was going to announce my new bargain to the world. I hadn’t knocked up a Youtube video for a while. My camera battery was charged AND I knew where all the bits of my tripod were. This was all falling into a place.